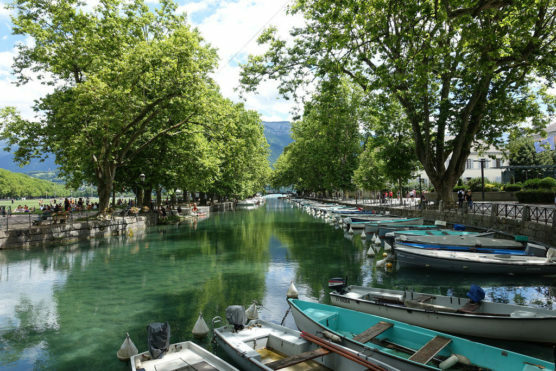 Everyone has heard of Annecy known for its lake with fantastic blue shades and its relaxed atmosphere, perfect for a weekend escape. But do you really know what to do in Annecy? This city offers much more than just a lake. You will find many other activities and interesting places to visit. If you are planning to visit Annecy during summer or winter, here are some suggestions of what to do in Annecy depending on the season. 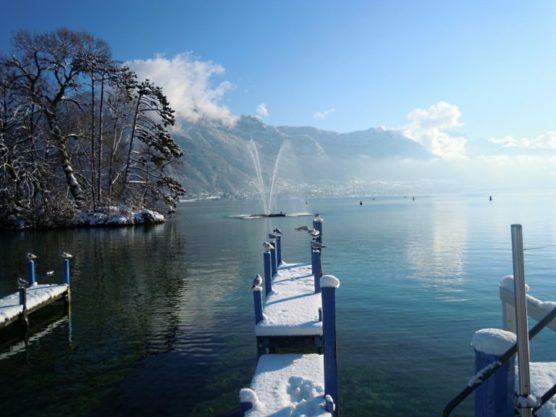 Annecy in winter is the ideal holiday spot for skiers. 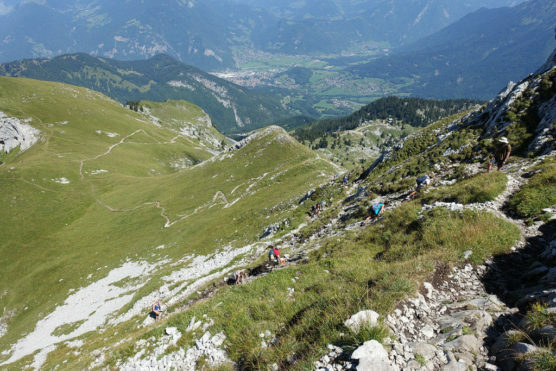 Nearby you will find the ski station of Montmin – Col de la Forclaz, it’s an easy track, ideal for training the little ones. There are 2 cable cars, 5 tracks that include 2 green and 2 blue, and 1 red. Also, the ski stations of Clusaz and Le Grand Bornand are very close too. On the other hand, you can practice mountain hiking with appropriate snowshoes. From La Forclaz, there is a route through impressive natural landscapes and animal encounters, such as deer. Other places, like the Pointe de la Sambuy, located in the commune of Faverges-Seythenex, are excellent for hikers who are looking for incredible views over Lake Annecy and the surrounding mountains. What to do in Annecy, despite that? Sleigh rides with dogs from La Féclaz station or climbing ice fall surrounding Lake Annecy are for the bravest. 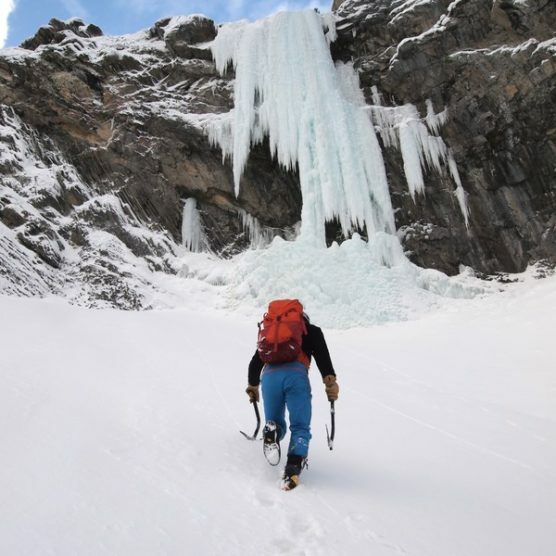 Experienced guides will accompany you to the top of these beautiful natural structures. The adrenaline is promised! When Annecy it’s covered by her snow cloak, it looks like a fairytale. Do you know what to do in Annecy then? You will like to visit the old town of Annecy. As you walk through the medieval city you will be inspired to take photos of the narrow streets, canals and roofs covered in snow. Don’t forget to visit the Palace of the Island at sunset, when it’s illuminated. It’s a natural island of the Thiou River. This building is now an exhibition space for architecture and regional heritage that allows visitors to learn about the history of the city. You can discover more about the city by visiting the Annecy Castle, which museum is a true journey through the traditional art of the Alps. Finally, we suggest you take a walk along the lake. In winter you can breathe a crystal clear air, reminiscent of the Nordic countries. In addition, it’s an ideal setting for photos. 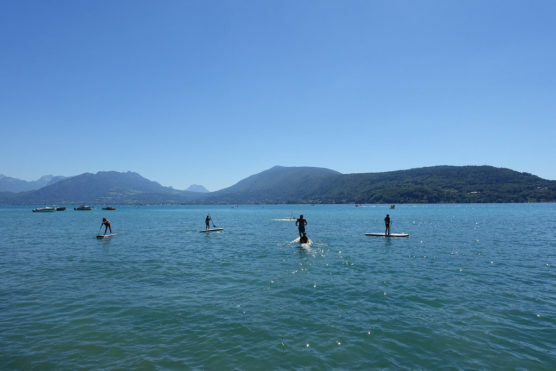 The advantage of Annecy in summer is that the aquatic and coastal activities are open again to the public. 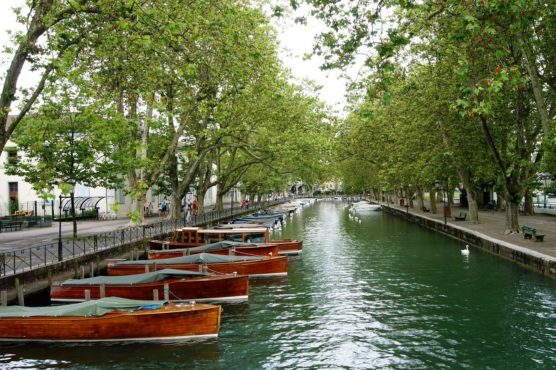 Sailing, rowing, kayaking, water skiing or swimming, Annecy has it all for everyone! But there is more! You can try a paragliding tour that departs from Montmin and lands at the base of Talloires. But if heights aren’t your thing, you should know that the sledding is also practiced in summer. You will descend through an 850-meter metal track crossing tunnels and taking sharp turns. 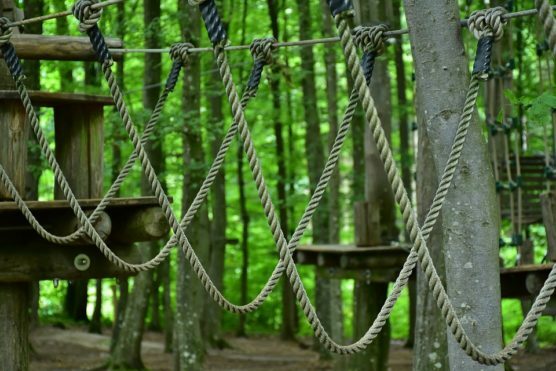 Near the city of Talloires, there is an adventure park that offers tree climbing, zip line, treasure hunt, a great place for children and adults. Did you know that you can have an amazing boat tour along Lake Annecy? Go to the end of the Vassé canal, under the Loves bridge and hop on one of the 5 small boats that are docked there. The tour is 1 hour long and will cost you €17. 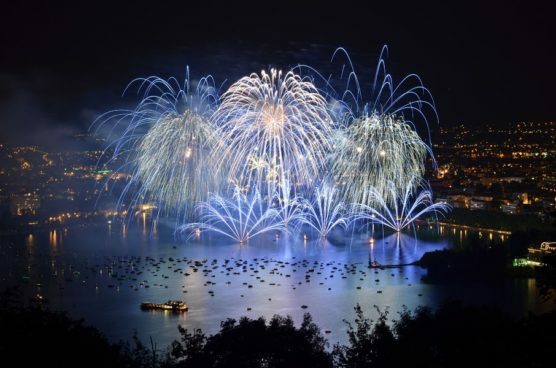 As a famous tourist destination, Annecy offers numerous shows and festivities throughout the summer. The Fiesta del Lago, for example, is the most important event in August. The show lasts more than a 1h and consists of water games, music, lights, and impressive fireworks. Grandstands are installed for all attendees. It’s a must-see show at least once in a lifetime! Another festival not to be missed out is the Annecy International Animated Film Festival held every year in June. A selection of films is presented outdoors on a giant screen. The main audience is families with small children coming to enjoy the great night. In case of rain, Annecy also offers many indoor activities. Pureform, which is a 1,400 m² complex dedicated to the gym and wellness, welcomes people who want to enjoy, among other things, indoor swimming pools, spas, gyms and training areas. In the same flow, in the Vitam Parc, you will find aquatic leisure facilities, wellness, spas, but also snowshoeing equipment and even climbing walls. You shouldn’t miss out the laser game and the mini karting. The rainy days are a great excuse to go to a restaurant and try out the typical cuisine of the Alps. If you fancy original recipes, try the MS Libellule. It is the only boat-restaurant in Lake Annecy, and all the dishes are made right away. If you prefer to try something more classic, like a delicious Savoyard fondue, go to Le Fréti, in the old town of Annecy. They prepare every dish using local recipes and products. 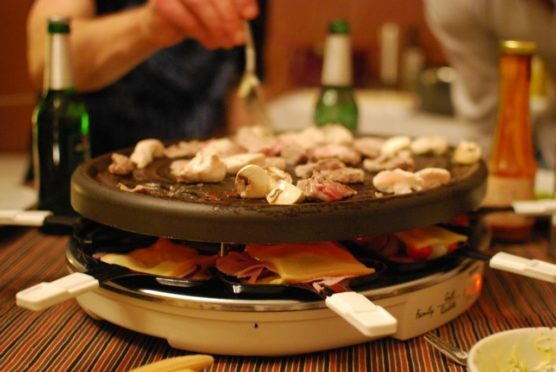 There, you can taste local cheeses such as Tomme de Savoie, but also sausages, génépi and white wines that match perfectly with raclette and fondues prepared by the chef. Annecy is, therefore, a destination worth visiting at any time of the year. The numerous activities, both in winter and summer, make you want to return each year to this magical city, known as the Venice of the Alps. Are you in love with this French region that is perfect for a family getaway? Do you want to know something more about what to do in Annecy? Make sure you check out the guide to the Alps for a trip with children.